Expert advice on driveways, including materials buying guides, concrete and asphalt driveway installation, repair and maintenance tips. 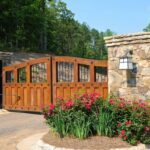 You may think of your driveway mostly in terms of its practical function, but the driveway is much more than just a necessary utilitarian element. The driveway, which typically takes up significant real estate in front of a house, makes a strong impression on passers-by. When well maintained, a driveway communicates a welcoming message. 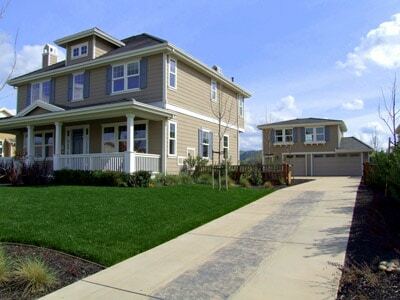 If your driveway has room for improvement, think carefully about what needs to be done. Has it gone into a total state of disrepair and ceased to complement the rest of your property? If so, maybe it needs a new design and total overhaul. Are you happy with its layout but bored with bland concrete? A facelift may be the answer. 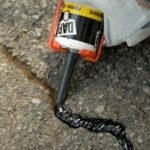 Or do you just need to repair a few cracks and give your asphalt a good scrubbing to help it shine? Most simple repairs are inexpensive and easily tackled by homeowners, but major work necessitates the skills of a professional driveway contractor. 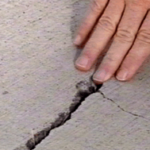 In this section of HomeTips, you’ll find help with simple repairs and driveway makeovers, as well as planning for a new driveway.